The Scalpay Care Unit and the 6 sheltered houses beside it were opened in 1990. 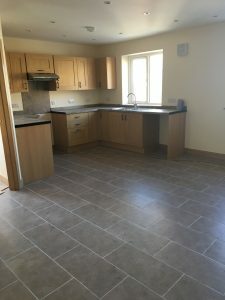 The Care Unit provided a 24hour care facility for 5 residents and the 6 sheltered social housing units provided supported accommodation allowing elderly folk to live independently. 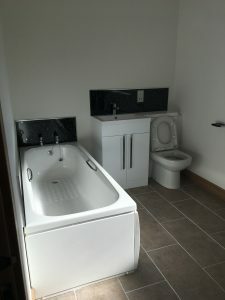 The Care Unit became a focal point in the local community as it allowed elderly local people to remain living in their community despite them no longer being able to manage alone in their own homes. The Care Unit was a huge asset to the community and the decision to close it in 2012 was not well received by locals as there was still a lot of demand for it as a care facility. 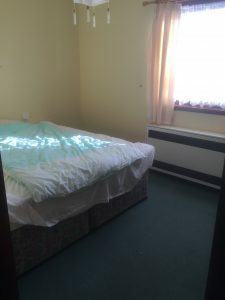 The unit was turned into a regular house by the council for the one remaining resident and after she died in early 2013 the building was closed. 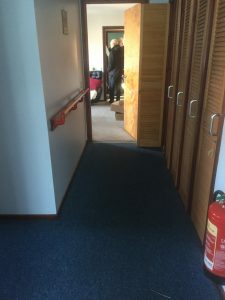 In November 2013 the Scalpay residents voted to approach North Harris Trust to take ownership of the Island and to join the rest of the North Harris Estate after the then owner had offered it to the community for a nominal fee. 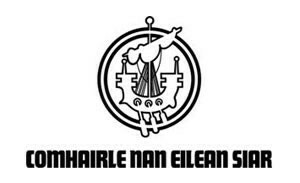 After consulting the membership NHT agreed to this and Scalpay became part of the North Harris Trust. As part of the acquisition of the Island; funding was secured for a Scalpay Development Officer for 2 years. This development officer carried out a number of consultation meetings with the community to ascertain what their aspirations were for the island and the purchase and development of the Care Unit was one of the top projects identified. This result was then presented to the Trust Board who agreed to pursue a lease of the Care Unit from CNES for a year to see what interest there would be from within the community. This lease was signed in August 2014 and the Trust were approached by a number of parties interested in subletting the care unit as accommodation. Due to the success of the first year NHT applied for an extension of another year to August 2016. 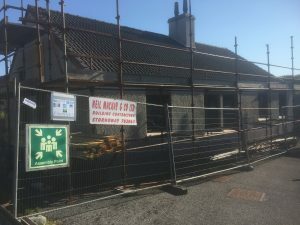 Over these two years the care unit was in constant use as accommodation and this demand for affordable accommodation in Scalpay was evidence enough for the NHT Board to agree to pursue the acquisition of the Care Unit building to redevelop it into two homes, one two bedroom and one three bedroom. Following the decision to pursue the purchase of the building an approach was made to CNES and a community benefit application form submitted, following an independent valuation the council offered to sell the building to the Trust for 10% of its market value of £100,000. Funding was successfully secured from the Scottish Land Fund in October 2016 to purchase the building and to cover the associated legal fees. There were some slight issues with the title of the property which resulted in the sale not being completed until February 2017. 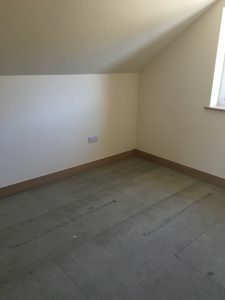 During this delay a surveyor was commissioned to come and view the property and draw up some potential design options and their associated costings. 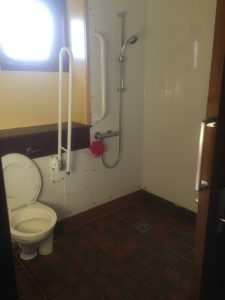 The approved design came in at a total cost of £250,000. With these plans and approximate costings we then submitted successful funding application to the Rural Housing Fund for £100,000 and Outer Hebrides LEADER for £124,165.67 This combined with the Trusts own contribution completing the funding package for the project. 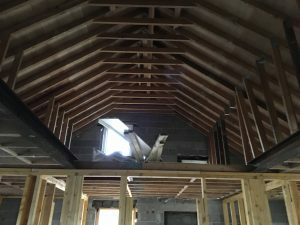 The contract for the buildings conversion was posted on Public Contracts Scotland in Spring 2017 and attracted tender submissions from 4 contractors. The contract was awarded to Neil MacKay and co in June 2017 as their submission came in cheapest at £248,415.34. 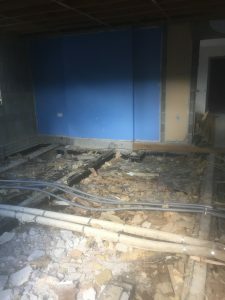 Work on site began in June 2017 and involved initially stripping out the entire building back to the bare wall and starting again with a new configuration. 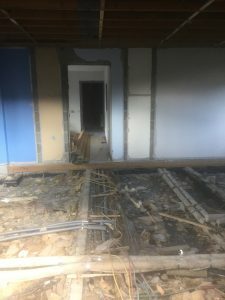 The work began with the site being secured and the interior of the building being stripped out. 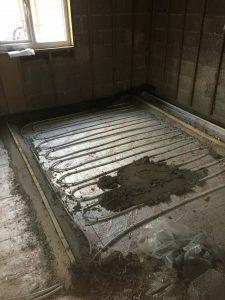 The floors throughout the building were insulated and underfloor heating components installed. 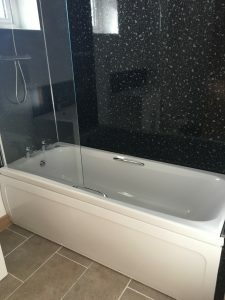 Air source underfloor heating was chosen for the properties as this is a very efficient way of heating properties at a low cost. 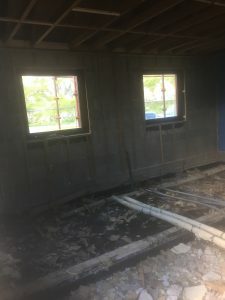 Inside, the building’s brick walls were strapped and insulated and work carried out to add a second floor to the building. Previously it had been floored with chipboard and used as a loft and so steel beams were added to reinforce it. Dormer windows were also added to the first floor of each property to ensure that space and light was maximised. New windows were installed throughout the ground floor of the property and the exterior of the building was rough casted which transformed its look from the outside. 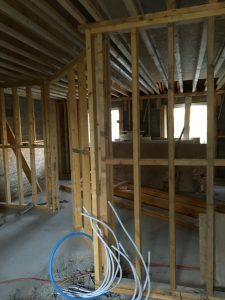 The next stage was to frame the new layout of each property and segregate the first floor which when used previously had been open plan. These works were completed on October 2017. The underfloor heating and flooring were next to be completed along with the solar panels of the roof. Velux windows were added to the rear of each property to maximise the light in the en-suites. The finishing touches to each property including external washing lines, fencing and the installation of external lights were completed in February. 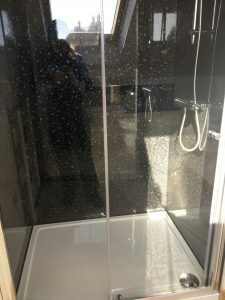 Once the practical competition stage was reached a walk-through of each property was carried out with the contractor to ensure all parties were happy with the finish and to identify any outstanding issues/problems. The Building Control Officer from the local authority visited the properties on Friday 16th February and was happy to issue the completion certificate. There was a delay in the installation of the additional electricity supply to 7A as it required the upgrade of the nearby transformer, this was completed on 15th March. Applications for the tenancies were opened up at the end of January 18 and closed on Friday 16th February. We were contacted by several interested parties during this time and received a total of 5 applications. A small group of NHT Directors met on Tuesday 27th February to award the tenancies and after each was considered the tenancy of 7A (three bedroom) was offered to Catherine Ann Morrison & Duncan MacLeod and 7B (two bedroom) to Bobby & Cristina Nistor. 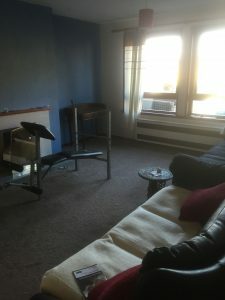 Both accepted the tenancies and leases were signed on 19th March. The keys were handed over to the new tenants on 2nd April 2018. 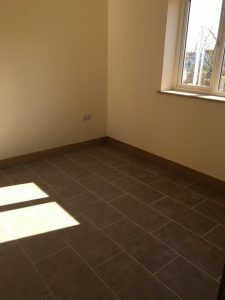 The properties have been finished to a very high standard which can be seen in the enclosed images. We have been able to provide two properties of high quality to two young families who are committed to the area but had outgrown their local authority houses. 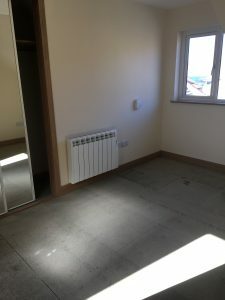 The rental for the three and two bedroom properties is £400 and £320 per month respectively and although this is slightly higher than the local authority because of the air source underfloor heating, solar panels and multifuel stove the cost of heating the properties will be minimal. The income from the rent of the properties will be approx. £8640 PA and even once insurance and maintenance costs are covered this will be a welcome additional income for NHT and will further diversify our income stream. 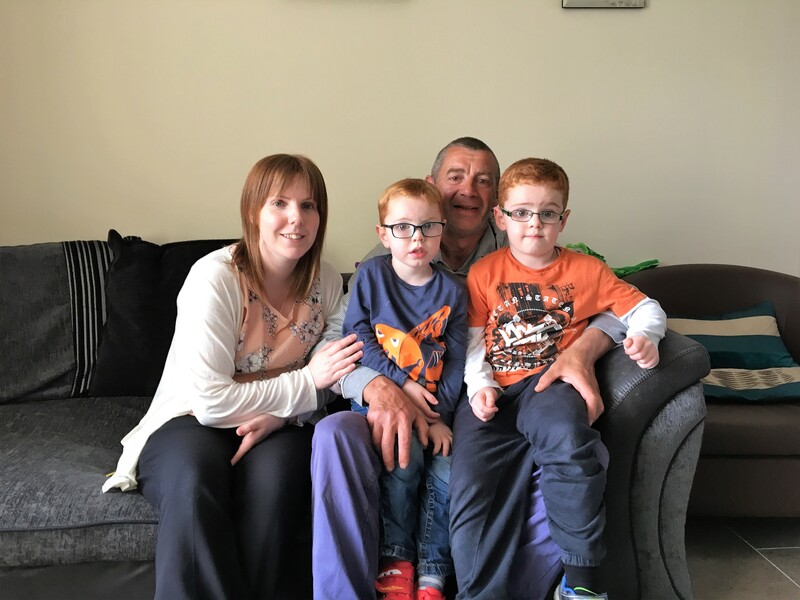 Our tenants in 7A are Catherine Ann Morrison & Duncan MacLeod and their two young boys Donnie and Uilleam. Catherine Ann has lived in Scalpay all her life and Duncan is from the Bays of Harris. Previously they had lived in a two-bedroom local authority property on Scalpay which they had outgrown as a family. 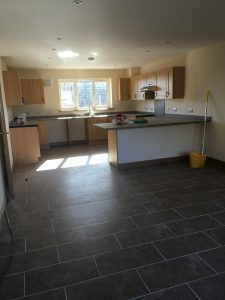 Three bedroom rental properties are difficult to come by and so they had reached the stage that they were going to have to considered moving from Scalpay to elsewhere in Harris. “We were delighted to be awarded the tenancy of 7A Creag Aonaich as it will allow us to stay in Scalpay near our family and friends. 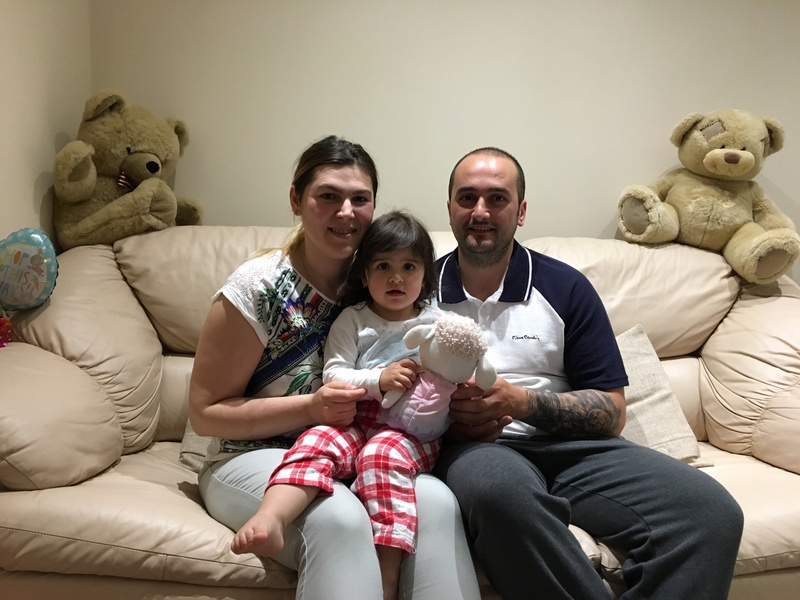 The houses are great and we have settled in well.” Catherine Ann. 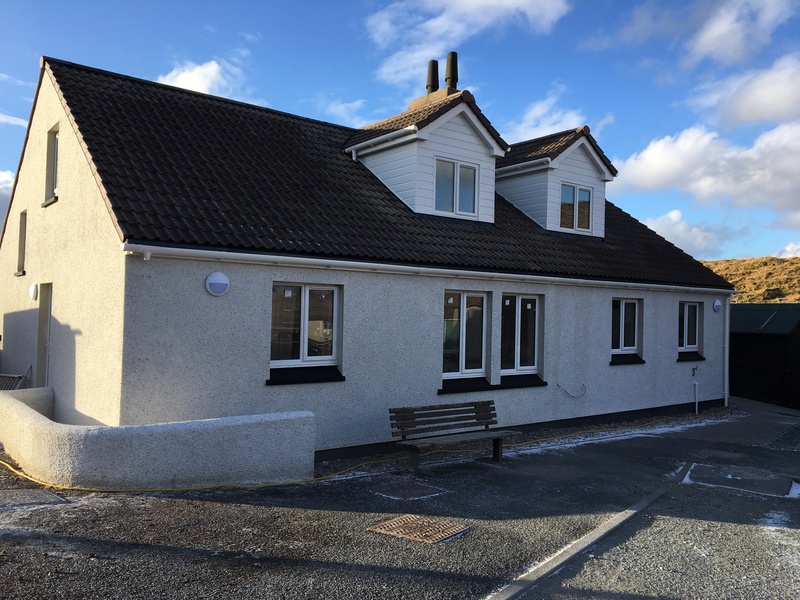 Without the assistance of the Scottish Land Fund, Outer Hebrides LEADER and The Rural Housing Fund this project would not have been possible and so we would like to take this opportunity to thank them for all their help throughout this project. © 2010 - 2016 The North Harris Trust.